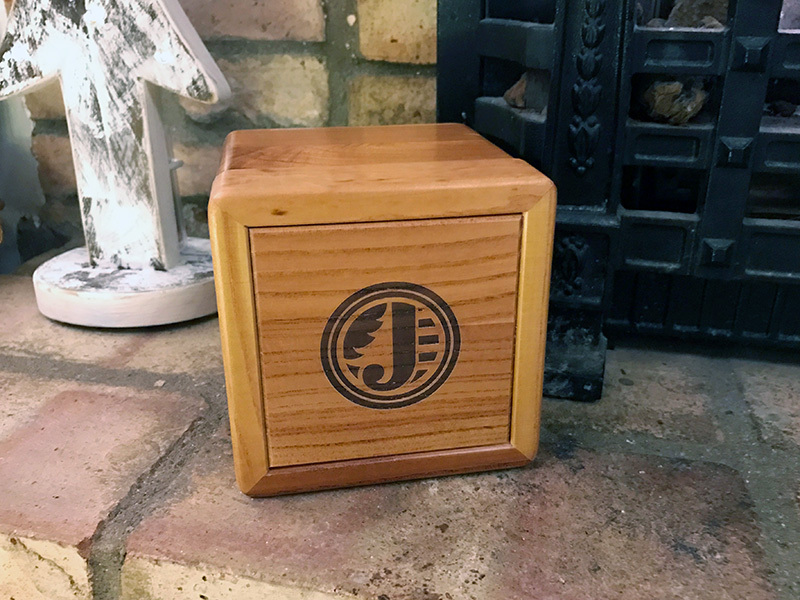 Normally I really struggle choosing Christmas presents for the men in my family, but luckily this year I have found the perfect present for my dad - a JORD wooden watch! I was contacted by the brand a few months ago when they kindly offered me the chance to review one of their men's watches, and I absolutely jumped at the chance. I had seen them popping up all over social media, and they had really caught my eye - I've never seen any watches like them before, and think that they are so beautiful and unique. I'm thrilled that I will be able to wrap it up and give it to my dad for a bit of a treat this Christmas; definitely a change from the usual tat that I buy him! The model I chose is the Frankie in the Dark Sandalwood & Smoke which is so beautiful, and to be totally honest I would love one of them for myself too! JORD are based in the US so I was a little worried about how long it would take to arrive, but I was seriously impressed with how fast the delivery was (which they offer for free worldwide! ), and even more pleased when I opened my parcel to find the watch packaged in a stunning wooden presentation box. I think its the details like that which really demonstrate the quality of the watch, and make it stand out as a luxury product. My favourite thing about the watch has to be the face. I love that it is big but still simple, and I am totally obsessed by the rose gold details! 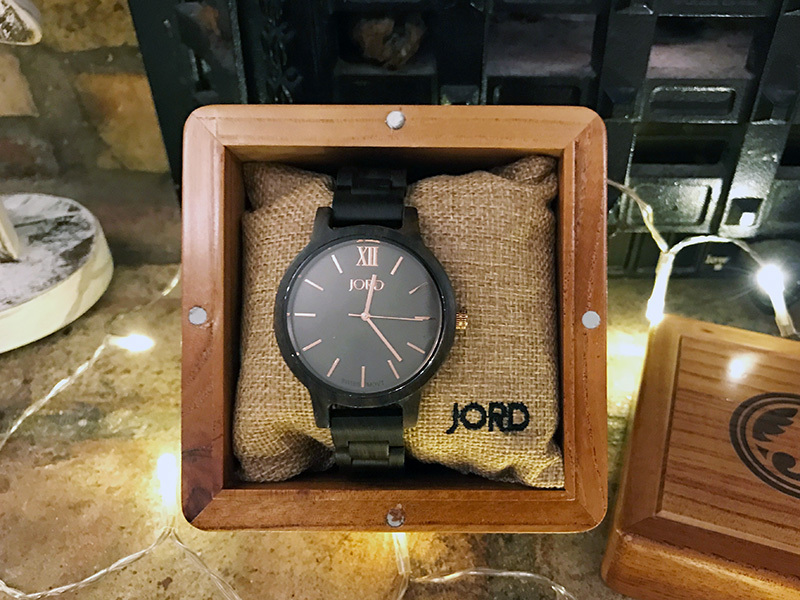 It has a really minimalist feel to it which is so in fashion right now, and I think it is fantastic that despite being so stylish it is also made from a sustainable material, as all JORD watches are. All of their watches are totally unique as the grain in the wood is different on each one, which is something I think makes it an even more special gift. This specific model costs $189 (roughly £155) which I think is a fair price for such a high quality, unique luxury watch, especially when you also consider the fact that the shipping is free worldwide. 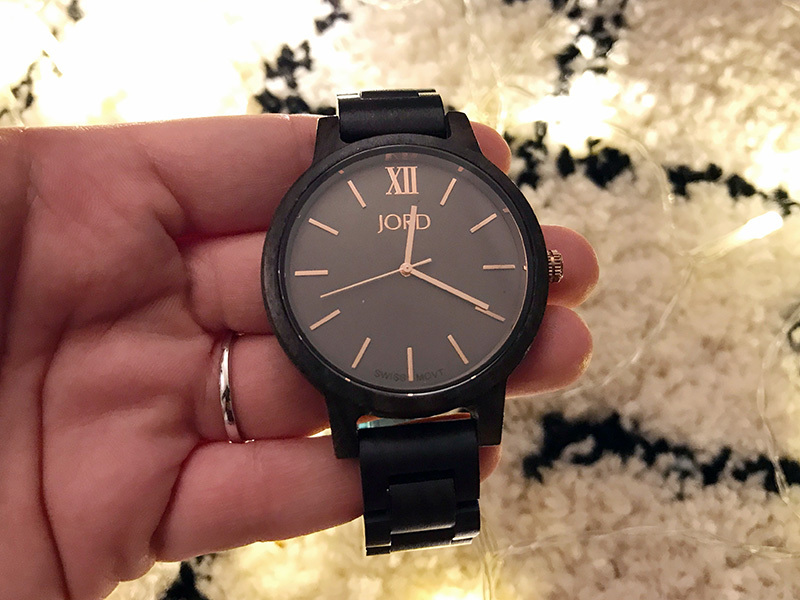 Their entire range is absolutely gorgeous, so be sure to check out their range of women's watches too! Finally the very exciting part! The lovely people at JORD have offered my readers the chance to win a $75 gift card to use on their site, and every single person who takes part will receive a $20 gift card emailed to them just for entering, so please do make the most of this wonderful offer! The final date for entry is the 8th January.